We talk about variety a lot here at The Feed. We love variety and recommend that our athletes switch up their nutrition and test new things whenever possible. The idea of constantly giving your body new stimulus not only applies to training programs, but it also applies to nutrition. I’m one of the worst offenders as well – I love what I love to eat, and I tend to get stuck in a routine eating the same four to five foods for a full season. The truth is that you should always be looking to switch up your diet and find new foods that are nutrient dense and focused on serving a purpose for my athletic goals. As you can imagine, this is a highly personal mission, one that will be different for everyone. Seasonality also plays a role. I’m a huge fan of blueberries…I can easily eat a full carton in one sitting…although blueberries do a lot of great things for me, they are in peak season in North America from late May through early August. Outside of those times, I like to switch it up and find other foods that serve a similar purpose. Purpose: Fennel doesn’t just taste great when added to your cooking, it is also an excellent source of vitamin C, dietary fiber, potassium, manganese, and folate. Fennel also has an interesting phyto-nutrient called anethole, which studies have shown to reduce inflammation. For athletes, anethole can be an important nutrient to speed recovery. This particular nutrient can block inflammation that can occur from injury, or a tough workout. Also the rich source of Vitamin C, is crucial for bolstering the immune system. For athletes to perform their very best they need to feel their best day in and day out. Keeping a strong immune system is one way they can keep a leg up on the competition. 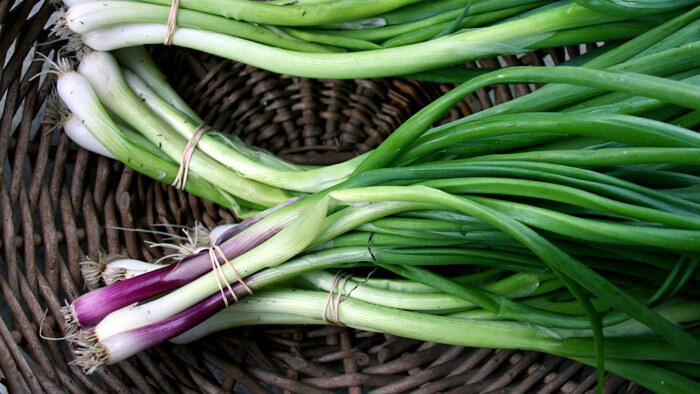 Purpose: Green Garlic has incredibly high levels of vitamins and minerals. It provides a high daily value in vitamin B6, vitamin C, Iron, selenium and manganese. It also contains a powerful, inflammation reducing, antioxidant known as allicin. Iron is another important nutrient for athletes. Iron is necessary to make new red blood cells within the body. Plus, iron aids in carrying oxygen to all the cells; making it possible to have energy for physical activity and concentration throughout the day. Iron depletion can cause you to feel lethargic, tired, flat and reduce overall performance capacity. When your training increases in intensity and your protein needs go up, so does your need for vitamin B6. This nutrient helps clear potentially harmful protein by-products, such as homocysteine. Researchers have noticed that levels of this compound rapidly increase after hard runs, such as marathons. Homocysteine damages blood vessel walls and may be partially to blame for some sudden cardiac events seen in runners. Purpose: Jerusalem Artichokes or Sunchokes are rarely used, but they pack a ton of nutrients that are great for athletes. They are especially high in thiamine (vitamin B1) which supports muscle function, the central nervous system and metabolism of carbohydrates. Athletes may look to thiamine to boost their athletic performance. Thiamine plays an important role in energy metabolism. It aids in converting carbohydrates into a form of energy our body can utilize. Thiamine also plays a role in preventing lactic acid build up. Thiamine is a water soluble vitamin, meaning it can leave the body easily through sweat and urine. For this reason, it is important to consume thiamine through food or supplements to prevent a deficiency. Purpose: Rhubarb is often thought of as a fruit for its use in desserts, but what matters is that Rhubarb is high in vitamin K and vitamin C, as well as minerals Manganese, Calcium and Potassium. For athletes, potassium is a crucial mineral to help keep you hydrated, and to aid in recovery. Potassium works with sodium to balance the fluids and electrolyte levels in your body. Since this delicate fluid balance helps to regulate your heartbeat and prevent muscles from cramping, potassium is of particular importance to runners. Marathon runners and distance runners can easily fall victim to more potassium outside his or her cells than inside, if not fueling adequately. Ideally to keep sufficient fluid levels, to perform your very best, potassium should stay inside our cells, and sodium outside. When this balance gets upset you will feel it. You may start to feel weak, your legs might start to cramp, and you may begin to feel bloated. Purpose: Raddichio tastes great when lightly grilled with a little bit of olive oil, and that’s what makes it a great spring vegetable. It’s also extremely high in vitamin K, which is closely related to bone health. It’s important for athletes, especially females (who are at increased risk for osteoporosis), to take in adequate vitamin K to support good bone health. Vitamin K promotes osteotrophic (bone formation and strengthening) activity, by assisting in the transport of calcium throughout the body. For this reason, it can help reduce bone loss and decrease risk of bone fractures. Vitamin K is also a nutrient crucial for responding to injuries, since it regulates normal blood clotting. Even though these veggies have not yet been dubbed ‘Super Foods’, nor are they getting their fifteen minutes of fame like kale, they can play just as important of a role in keeping us healthy. An athlete who includes nutrient packed veggies in an their diet can take their performance from good to great! We should leverage the power of food, to work with us in reaching athletic goals. Include whole, real, seasonal veggies into your meals and snacks to reap benefits, and put yourself ahead of the competition!